The Fives Downtown Hotel has comfortable, modern accommodations. Playa del Carmen's award-winning five-star luxury boutique hotel brings a lot to the table. Flexible meeting and event space, state-of-the-art technology and a prime location make the five-star boutique the ideal destination. Experience the best of Playa del Carmen through your taste buds. The Fives Downtown Hotel & Residences Curio Collection by Hilton suites offer no shortage of luxury amenities and services. 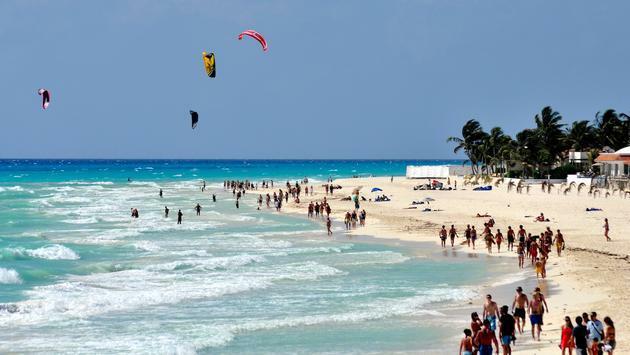 Explore Playa del Carmen and have an unforgettable experience. The stunning rooftop lounge at The Fives Downtown Hotel in Mexico is worth your time. Explore Playa del Carmen in luxury style. The Fives Downtown Hotel has the luxury you’re looking for in Playa del Carmen.